First stop? 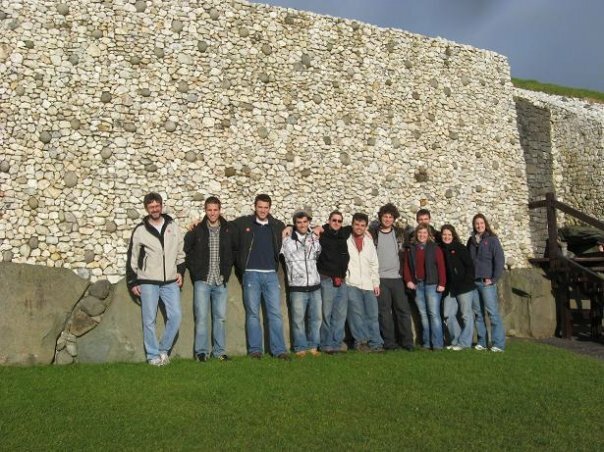 Newgrange! This is the site of a 5,000 year old tomb built in the Neolithic Period (New Stone Age). Before we went inside we got a bit of a history lesson and learned that Newgrange is in fact older than both Stonehenge in England and the Pyramids of Giza in Egypt. 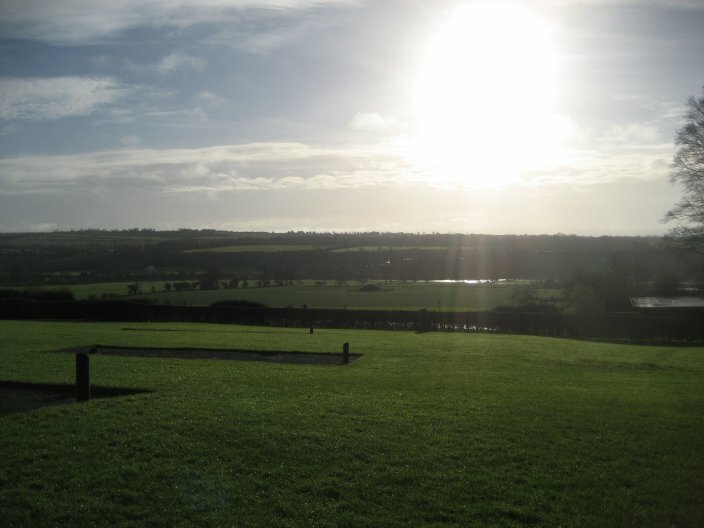 It sits near the Boyne River which was the site of the famous Battle of the Boyne. 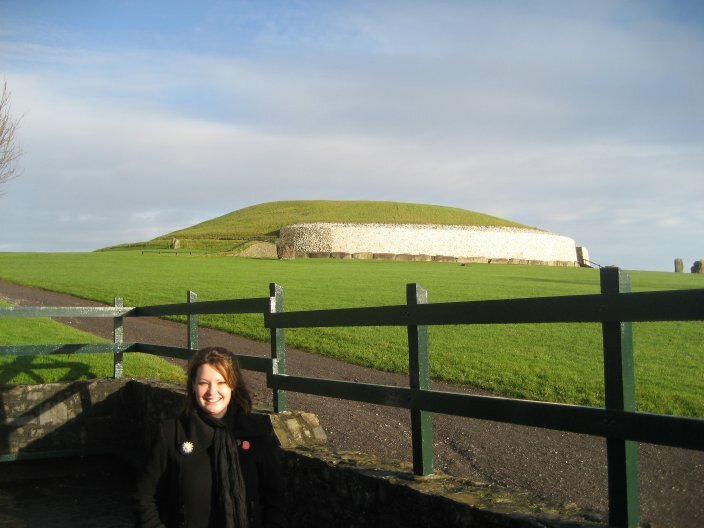 Newgrange is one of three large tombs in this area. The other two are called Knowth and Dowth. But Newgrange has been restored a bit for the tourist thing. During our little history lesson at the entrance to Newgrange we learned that surrounding the three major tomb sites are many satellite tombs that have yet to be excavated. The satellite tombs are much smaller but probably contain many more remains than the large sites. I tried to take a picture of the satellite tombs, but the sun sort of interrupted (not that I’m complaining! Sun in Ireland!?) If you look really closely you can see one of the smaller tomb sites almost right in the middle of this picture to the right of that little tree line. There’s another one right behind the tree line but you can’t really make it out in this photo. Finally we split into two groups and were taken inside the tomb. The pathway kept getting more and more narrow. At some points I thought I wasn’t going to fit but then remembered there are big guys in my group and they’d gone ahead before me! When we finally got to the end we were hit with the reality that for as big as the mound is on the outside, 20 people could barely fit on the inside. There were three tomb places – with the long entryway behind us there was one on either side, and one straight ahead. Each place contained a single basin which was used to collect the ashes of the deceased. These people burned their dead. 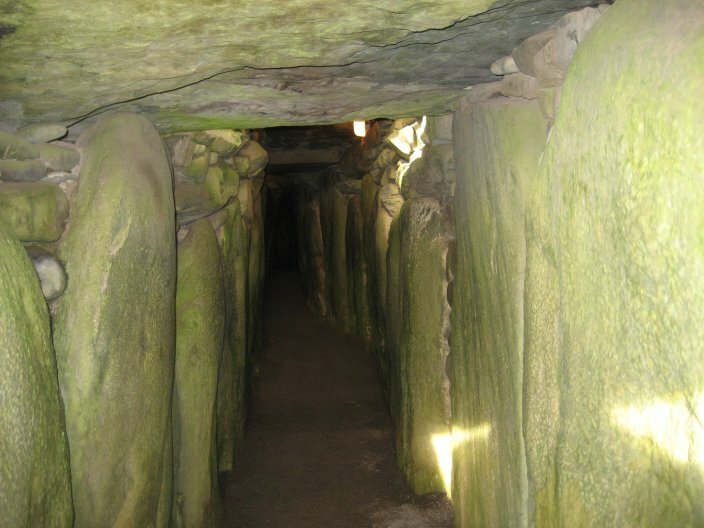 Perhaps the single most reason Newgrange is so famous is for its precise construction and ancient technology. In order to build this site there would have been a major collaboration of architects, astrologists, and artists. At the front of Newgrange, above the entryway for people, there is a small window. At Winter Solstice, December 21st, and for about six days surrounding the solstice, the chamber is illuminated with sunlight. As you walk up the entryway, you actually walk on an upward slope and by the time you get into the chamber, the window out front is perfectly aligned with the ground inside. I couldn’t take pictures inside the tomb as it would have been disrespectful, but here is a photo of the entry hall from outside Newgrange looking in. 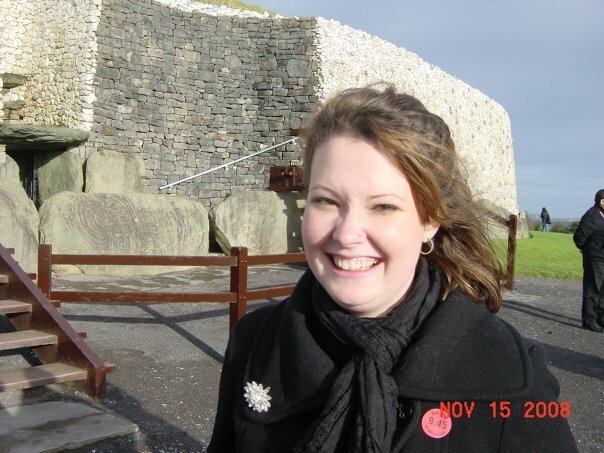 Me outside Newgrange. Those darker stones outside the entrance are not original. They were installed as part of the restoration. Originally the only way to get inside the tomb was to crawl over the large stones there in the front. The restoration builders decided to put staircases in on either side and to put in a different type of stone so that there would be no mistaking the old original architecture for that of the restoration. 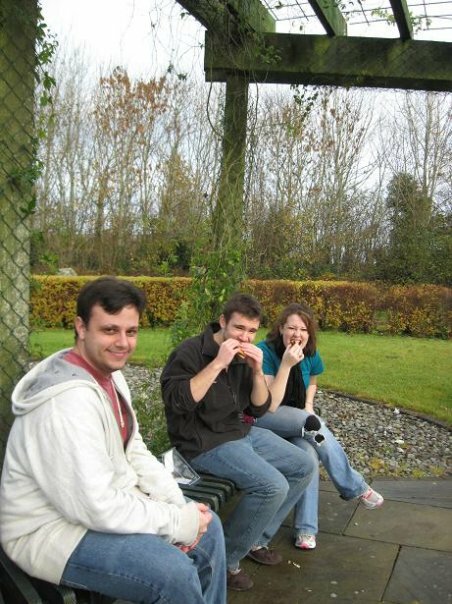 Justin, John and I grabbing a quick lunch before heading off to our next destination: Belfast!